Populous has created an exhibition concept for World Architecture Forum based on Eames’ House of Cards. It sees a towering 3D sculpture created from the ‘W’ identity, which Studio Myerscough created for the festival. 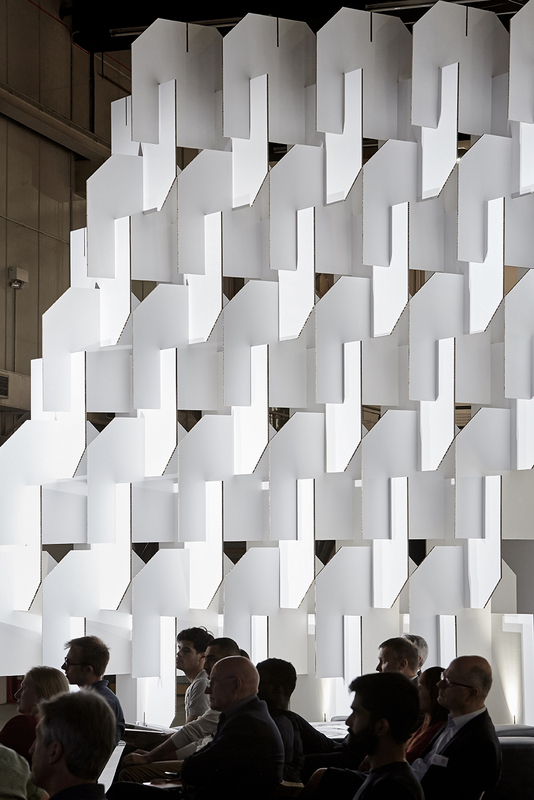 Populous’ seven meter high installation is the centre piece of the exhibition and also delineates the space which is designated for talks and the exhibition space. The practice says it was tasked with delivering “an imaginative response” to a challenging environment, within a tight budget. 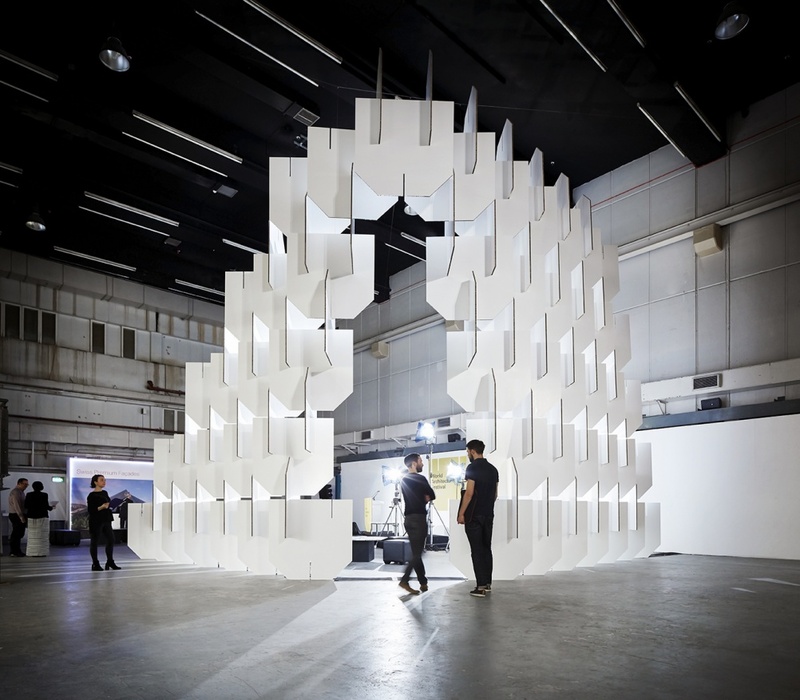 Populous says the WAF identity can be packed up and reassembled to fit different spaces when the show visits other cities. 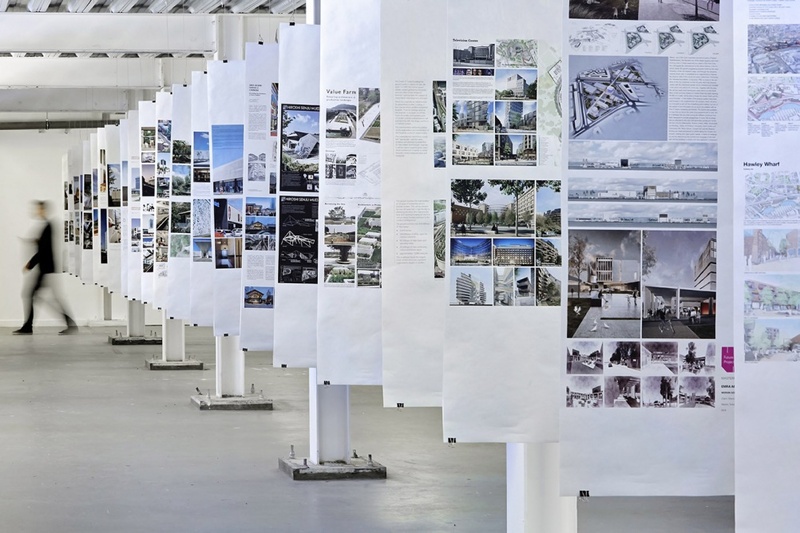 Meanwhile 350 shortlisted architectural projects vying for an award have been magnetically suspended from the ceiling, marking a departure from recent years when they were wall hung. The entries are grouped together by entry type rather than being explicitly sign posted and visitors are free to wander around them and discover each section.